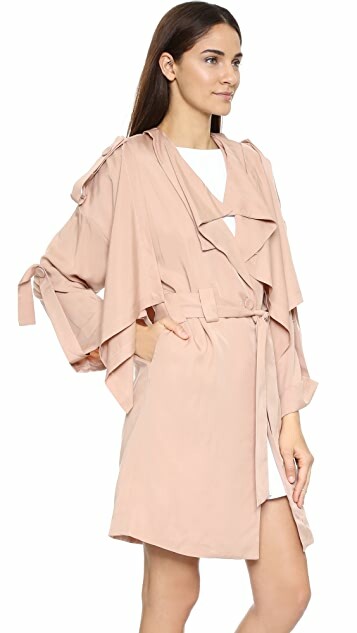 A deconstructed KENDALL + KYLIE trench coat in a soft, slinky twill. 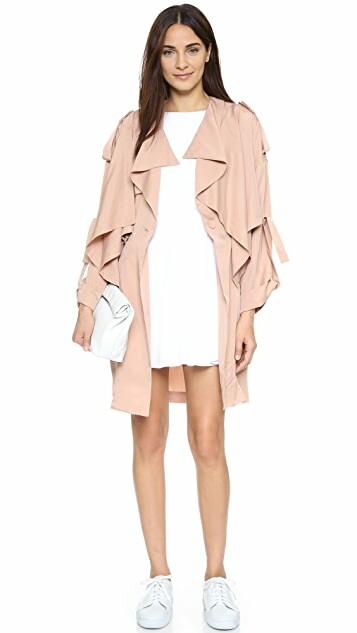 Oversized lapels and a draped storm flap lend dimension. A self-belt cinches the single-button placket, and button tabs secure the rolled long sleeves. Unlined. 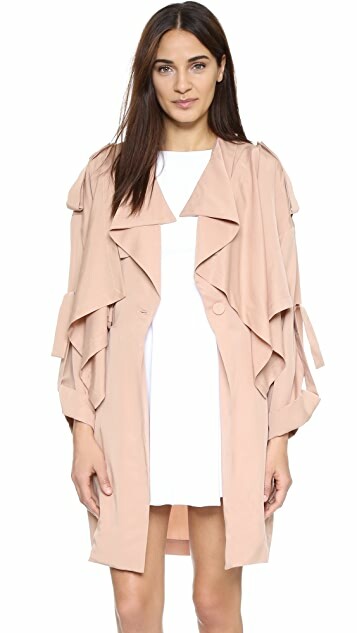 The cut of this jacket is boxy and meant to be worn just as the model is wearing it. Unfortunately, the material is thin and cheap and very prone to wrinkling. 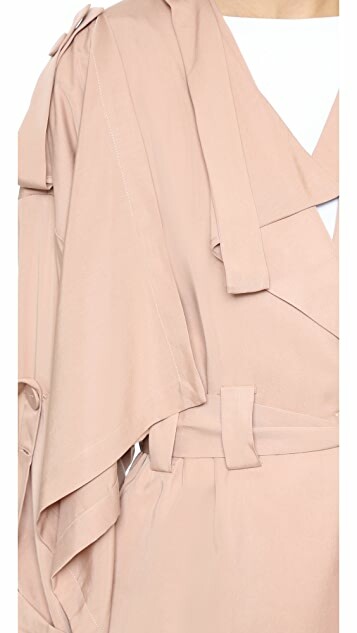 I think this item would require constant steaming or dry cleaning. Also, the color is a much deeper salmon than in the photo. I returned.